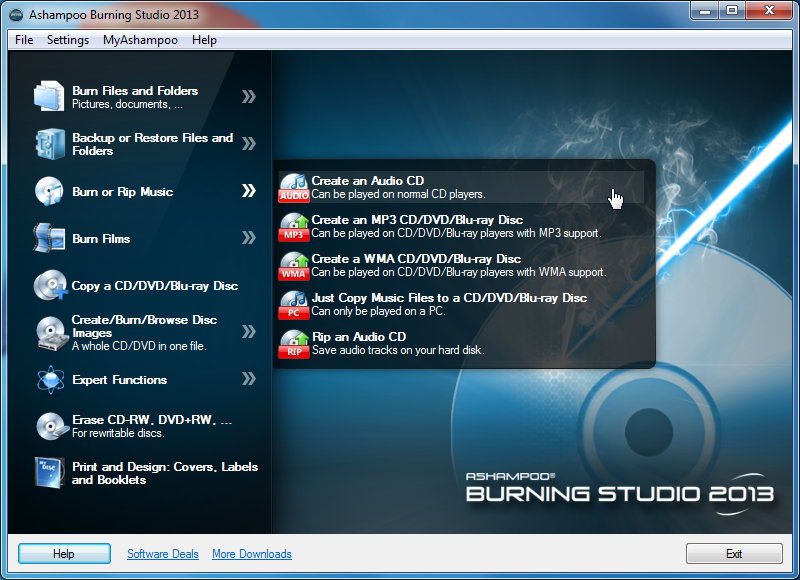 Ashampoo Burning Studio is a powerful and complete suite of recording to record your CD, DVD and Blu-ray. It contains everything you need from a program recorder: recording of data, audioCD or MP3, slideshows in DVD music, CD copies of disks, and backups. In Ashampoo Burning Studio you nothing is missing, without slowdowns or excessive use of memory.